"Pondering with Mark The Pond Guy" appeals to pond enthusiasts with interesting and inspiring water garden photos, videos, articles and much more. Happy Pondering! 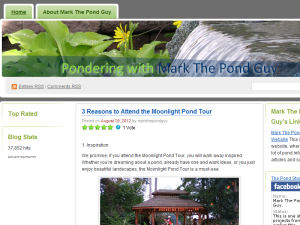 This what your Pondering with Mark The Pond Guy Blog Ad will look like to visitors! Of course you will want to use keywords and ad targeting to get the most out of your ad campaign! So purchase an ad space today before there all gone! 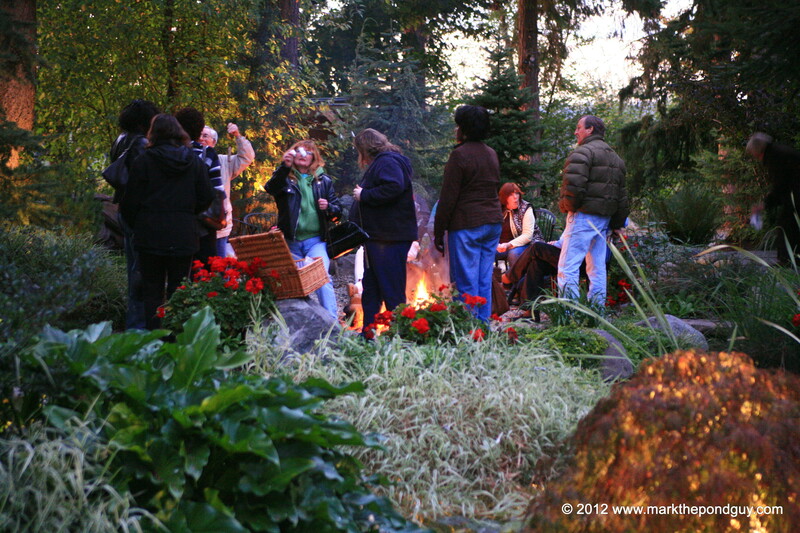 We promise, if you attend the Moonlight Pond Tour, you will walk away inspired. Whether you’re dreaming about a pond, already have one and want ideas, or you just enjoy beautiful landscapes, the Moonlight Pond Tour is a must-see. We love it when people bring their friends and family, let the kids splash in the water, and roast s’mores around the campfire. 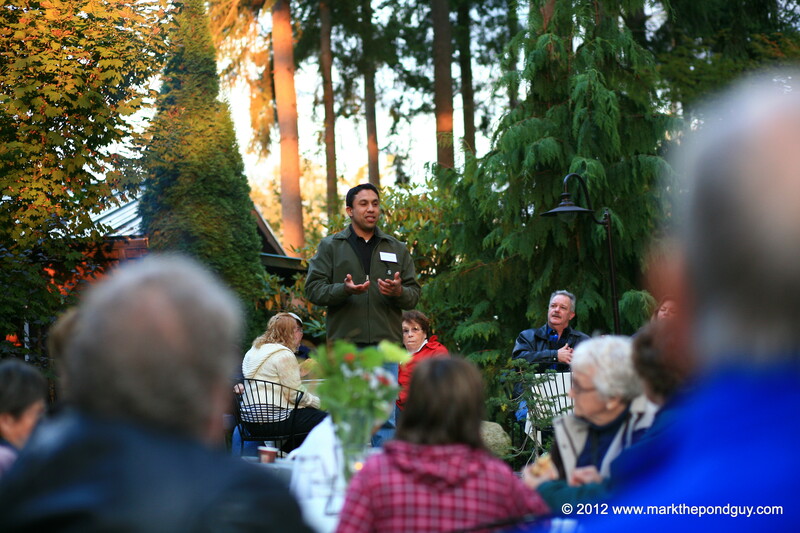 The Moonlight Pond Tour is a great time to ask Mark The Pond Guy’s questions about your pond project. Bring photos of your yard or project and he can give you ideas and direction. 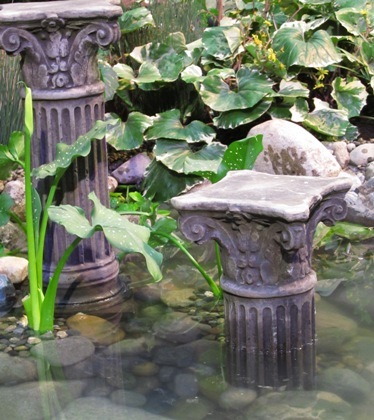 Nothing inspires a water garden lover like great before-and-after pictures! 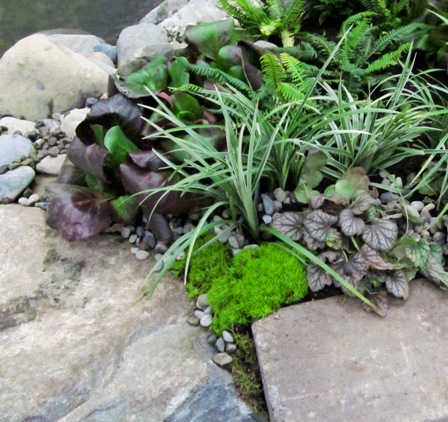 These are some of our favorites, as they show how a water garden can transform your space. 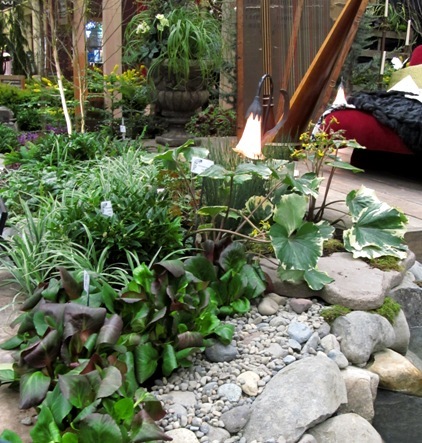 Want to see your water feature on our blog? Just email your photos and story to heather@markthepondguy.com. 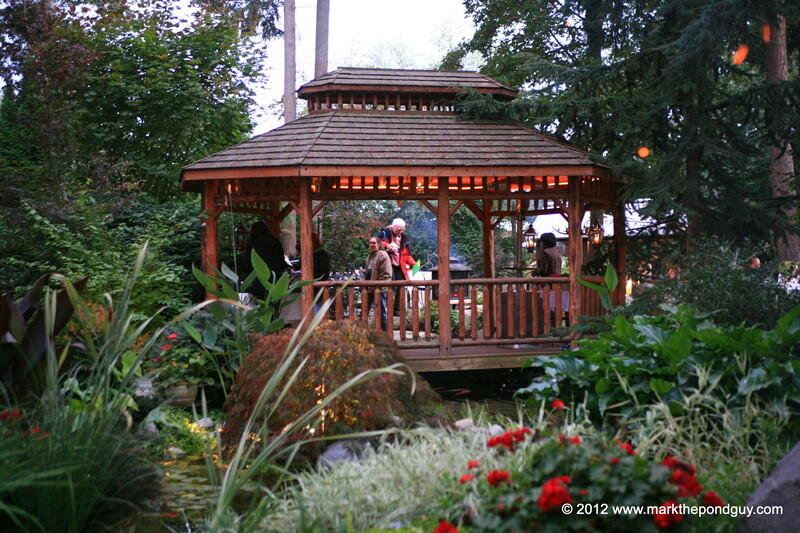 Thanks to our customers Rex & Marietta for sharing some photos of their fabulous pond! If you would like your pond featured on our blog, email, or Facebook, email your favorite photos and a testimonial to heather@markthepondguy.com. 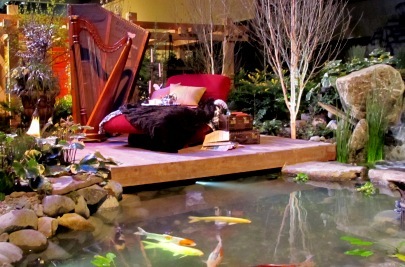 We all know that display gardens at flower shows are a bit of theater in the midst of all that horticultural giddiness. Plant nerds almost hate to admit it (it’s all about the plants right?) but we go to the show to be entertained too. Give me an emotional response, not just a stone patio with primroses and red twig dogwood around it. I loved that I could wander to a boulangerie in Paris (Wight’s Garden) or drift off to the sound of a harp playing (Fancy Frond’s). When the Bluegrass band started playing (Susan Browne Landscaping) it made me smile and crave a tall glass of sweet tea and of course the slow rhythmic drip of water on drums from Sublime Garden Design beat to its own unique style of creativity. Every time I design a garden for the show, I want to incorporate ideas that you can see in your own garden. I strive to be horticulturally accurate (right plants for the conditions we are mimicking), incorporate garden elements that are usable in the real world (floating water steps, decking that overhangs the water for dipping your feet into) and then I want to give that moment of entertainment. When we heard repeatedly how people would love to sit on the chaise and nap, I knew we had hit the mark. Create a plant palette. Much like an artist chooses colors that accent, blend, contrast and compliment each other; choose plants that do the same. Start with color. 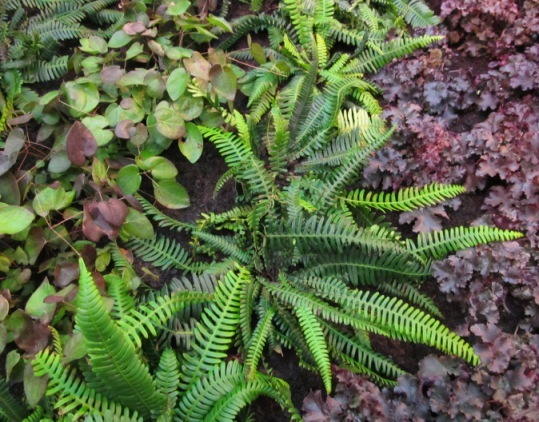 This plant palette played in the shade with burgundy and silver. Dark colored foliage in a shade garden needs contrast; silver and white variegated plants do the trick. The shape and habit of plants is also vital. The spiky foliage of ‘Silver Dragon’ Liriope against the ruffled deep colored foliage of ‘Crimson Curls’ Heuchera, flattered with the dissected fronds of Deer fern (Blechnum spicant) all bring out a tapestry on the ground. You don’t want plants to blur together in boredom; you want to play off the assets of each. The heart-shaped foliage of Epimedium is perfect to weave around the ankles of Sweet box (Sarcococca ruscifolia) and the understory of trees to create an airy evergreen groundcover. Bergenia ‘Baby Doll’ in groupings made you look at this common plant in a whole new way. Plant this like a drifting puddle along the edges of pathways or rockery. Then there was the darling (and a bit diva-like too) the Farfugium japoncium ‘Argenteum’. This bold foliage was an eye catcher along the edges of the pond, juxtaposed with the linear blades of ‘Elk’s Blue’ rush (Juncus patens). The leaves were bold enough to compete with the massive rock that made up the falls of the water feature. Placing plants next to large rock is not for the faint of foliage. Landscape rockery becomes more natural when plants are tucked around them; just remember to do it like you mean it. Give the rock some competition with bold foliage and color against it. Used with permission. Please check out Sue Goetz’s blog, The Creative Gardener! If you are the owner of Pondering with Mark The Pond Guy, or someone who enjoys this blog why not upgrade it to a Featured Listing or Permanent Listing?